Over the past few days, the media commentators have had their say about the cease-fire accords reached in Minsk last week. The consensus is not merely skeptical, but almost certain that this deal will fail, just as the September arrangements failed. 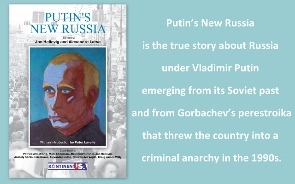 Most commonly in Western media the negative prognosis rests on negative appraisals of Vladimir Putin, who is cast as the aggressor, who will take an arm when he is offered a finger, who cannot be long appeased, and whose steady objective is the recreation of a Russian or Soviet Empire in Eastern Europe, for which the Ukrainian gambit is but the first step. 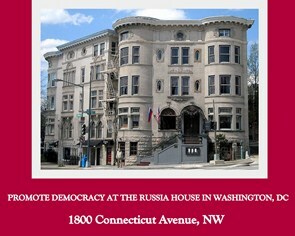 In the week leading up to Minsk, the War Party on Capitol Hill, well ensconced in power under the nominal Democrat Barack Obama as they were under the nominal Republican George W. Bush, demanded in the form of a think tank report chaired by Brookings Institute chief Strobe Talbot that lethal weapons be shipped to the Kiev regime as the next step in ratcheting up pressure on Putin and getting him to change course on Ukraine. Paradoxically the beating of drums achieved results diametrically opposed to what was intended.. This is true first of all in the United States where debate over the causes and prospects for resolving the Ukraine crisis flared up and opposing sides took to the air waves with greater intensity than at any time since the coup d’etat in Kiev a year ago. Two of Talbot’s subordinates at Brookings publicly repudiated the report at the risk of their own jobs. Meanwhile, the leading rejectionists of the Washington Narrative, Professors John Mearsheimer and Stephen Cohen appeared on numerous national television and radio programs either individually or paired with their ideological opponents. Indeed the otherwise moribund Realist School of International Relations led the charge in a bid to reclaim their place at the foreign policy Establishment table. They correctly identified NATO expansion as the underlying causal factor, with Russia occupying a defensive as opposed to offensive position in the fray over Ukraine. These same realists, in particular Professor Stephen Walt in Foreign Policy magazine, overdid the case, arguing that Russia’s almost irrational posture in Donbas as it defends its waning influence in its region is the behavior of a country in steep decline, a country with an imploding demography and economy in shambles. 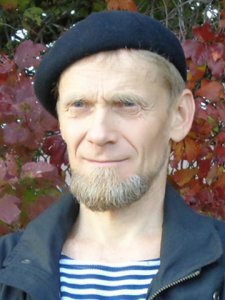 Though this misunderstanding of Russian reality today, this reliance on outdated facts can and should be disputed at another time and place, we in the anti-war movement open our arms to others who challenge the War Party as welcome Fellow Travelers. In Europe the overplayed hand of America’s War Party has brought us to a juncture resembling the situation over Syria 18 months ago when the issue of Assad’s alleged use of chemical weapons in their civil war was used to prepare the grounds for an all-out Western assault on the country. Europe, specifically the British Parliament, revolted against the use of armed force proposed by David Cameron, and the US President had to back down from his planned military intervention. Now it is Germany and France that have revolted against the American hawks and sued for peace in Minsk. The revolt was facilitated by the public expression of scorn for Europe’s would-be peace-makers, Angela Merkel in the lead, branded as "stupid” by none other than Senator McCain at the Security Conference in Munich. As if to spite the Americans, Merkel and Holland have been celebrated in the European press these past few days as a "diplomatic dream team” and their nominations for the Nobel Peace Prize are pouring in. More generally a deep rift has opened between the United States and Europe over how to proceed in relations with Russia now that the conflict in Ukraine appeared to be spinning out of control, now that the Donbas rebels clearly were taking the upper hand, expanding their territory and raising the daily body count of Ukraine military regulars to the hundred plus level of last July, when defeat on the ground persuaded Poroshenko and his backers in the US to call for a cease fire. It is no accident that the shuttle diplomacy to reinstate a truce came just as it was announced that the Donbas rebels have encircled what are estimated to be 6,000=8,000 Ukrainian Army troops at Debaltseve – marking, if true, a devastating defeat of the Kiev military machine that will have domestic political consequences. At the same time, after dire predictions for its economy going back almost half a year, the Ukraine is finally on the ropes. It has not paid pensions and salaries for more than three months. It has hard currency reserves measured in a few weeks. It is utterly dependent on massive new loans from the IMF, the EU, the World Bank and donor nations to stay solvent in 2015. And the IMF plays is the cornerstone; its approval or refusal to implement aid packages to Ukraine on its table is the decider for all other interested parties. Yet, its chief Christine Lagarde made plain two weeks ago, that aid will not be forthcoming if Ukraine continues to pursue the war in the Donbas, hemorrhaging as it is more than $8 million per day. The desperate situation of the European protégé in Kiev has been papered over by the Public Relations experts and spin doctors in Brussels. Poroshenko was rushed to the European capital immediately following Minsk to be accorded all public honors of a victor who has forced the villain Putin to the peace table and is awaiting finishing touches on what is now called a $40 billion package of assistance. But all that is just eye wash.
For all of these reasons, I believe that the Minsk-2 accords will be successful, will bring long term peace and quiet to the war-torn southeast of Ukraine and will put the nail in the coffin of NATO expansion, even if that does not figure in the signed agreements. I invite our Panel of Experts to stake out their positions for and against a lasting peace based on Minsk-2. Gilbert Doctorow is the European Coordinator of the American Committee for East West Accord, Ltd.
Martin Sieff is a senior fellow of the American University in Moscow. He is the former Chief Foreign Correspondent for The Washington Times. The guns in Ukraine did not cool down yet but the Minsk 2 peace accord is already being predictably assailed in Washington by liberal and conservative hawks alike. Headlines like "Vlad Putin Wins Again”, "The new Ukrainian peace deal may be worse than no deal at all” or "Why Is Putin Smiling About Ukraine?” and the likes are all over the US media. Never mind that the Minsk Agreement offers at least a brief, fragile window of opportunity for the world to step back from the brink of a nuclear confrontation that would destroy the entire Northern Hemisphere of the Earth. If nothing else, at least it could save some Ukrainian lives but who cares? Such negative reactions from the U.S. policymakers and media are understandable since the whole Ukrainian mess was concocted to fulfill the ultimate goal of Russia’s geopolitical weakening and Putin’s regime change under the noble banner of spreading freedom and democracy. So far this goal is far from achievement so why give peace a chance? The saddest part of this story is that such a policy totally contradicts US long term strategic security interests by turning a potential important ally into adversary. Yes, there is no written document confirming his often-quoted pledge to Gorbachev not to expand NATO to the East but there are many credible and trustworthy witnesses who present compelling evidence testifying to Washington’s reneging on key oral commitments to Moscow. There are other reliable witnesses to these historical events. 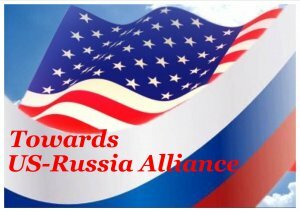 And there is no doubt that it was Bill Clinton and his administration that made the sharp turn from the movement, albeit slow, towards U.S. – Russia alliance to deep division and the current dangerous state of affairs. This relentless record of broken promises continued when Russia was ravaged by economic crisis through the 1990s. This was a direct result of the catastrophic crash privatization urged on it by Clinton team when Russia’s population shrank disastrously and the hardship of ordinary folks was comparable to what they had experienced during World War II. Russia’s unexpected recovery in the 2000s from this total devastation caught its antagonists by surprise, but George W. Bush and Barack Obama followed the same failed Clinton policies by continuing NATO expansion, unleashing "color revolutions” on former Soviet republics from Ukraine and Georgia to Kyrgyzstan. Under their reckless leads, the United States pressed to break historical and economic ties between Russia and Ukraine going back 350 years using the same slogans of promoting western values. The Ukrainian people have not benefited from this policy which the February 2014 violent coup in Kiev and the openly manipulated sham of a democratic election then imposed upon them. The new rump government of President Petro Poroshenko first accepted an association agreement with the European Union under terms certain to impoverish scores of millions of Ukrainians. It has nothing to do with helping Ukraine's economic development but only dangles mythical carrots of unlimited Western aid that neither the U.S. nor the EU in reality have the resources to provide. Finally, some European leaders are slowly coming to their senses. Merkel and Hollande rightly want to retreat from the brink and such conservative-right leaders like former president Nicolas Sarkozy and National Front leader Marine Le Pen have both made clear their own determination to reestablish good ties with Moscow. Yet in Washington, the only voices allowed to be heard in the mainstream media unanimously call for the rapid arming of Ukraine as quickly and recklessly as possible. Arch-hawk Sen. John McCain (R-Ariz) is predictably in the forefront of this pack, yet incredibly President Obama has allowed senior figures in his own administration and the top U.S. generals to encourage such madness too. During the most dangerous periods of the Cold War, the dangers were fully realized by the Eisenhower, Kennedy and Reagan administrations. However, there is not the slightest hint of such awareness and responsibility among U.S. policymakers today, either among the incumbent Democrats or the opposition Republicans, who are trying to outdo each other by competing who is more hawkish on Russia. Needless to say that America needs a drastic change in its foreign policy. There are a few wise men who can make a significant contribution to this cause One is former Soviet President Mikhail Gorbachev, the man who did more than any other single person to end the Cold War. He must come to Washington and meet with the surviving veterans of the Reagan and George Bush, Sr. administrations he worked so courageously and constructively with back in the 1980s. Together, their voices desperately need to be heard to revive the severed lines of communication between Washington and Moscow and start the process of bringing the world back from the brink of nuclear destruction. The huge experience and unmatched diplomatic skills of such Americans as George Herbert Walker Bush, Henry Kissinger, James A. Baker III, Brent Scowcroft, Jack Matlock, Pat Buchanan, David Stockman, Dana Rohrabacher and some others make them the obvious partners to take seats at the round table with Gorby. It is not too late for the voices of reason and sanity to be heard. But the alarms on the Doomsday Clock are already ringing. The first is that there are several thousand Kiev troops surrounded in the "Debaltsevo Cauldron”; the agreement makes no provision for their evacuation or surrender. We are told that Poroshenko does not believe they are surrounded; but they are – there is plenty of film (for example) of the enclosure. There is no way that the Novorussian forces will allow them to stay there; they remember the Kiev forces at the Donetsk Airport continuously shelled Donetsk throughout the last "ceasefire”. They also remember Poroshenko boasting that the last "ceasefire” had been used to bring the Kiev forces back to 100%. And, today, fighting there continues and will continue until the Kiev forces take up the offer to depart without their weapons (surrenders are beginning, for example) or are destroyed. The second problem are the neo-nazi "volunteer battalions”. They are not interested in compromise; to them a ceasefire is betrayal. They have many times threatened to return to Kiev and clean out the "defeatists” and "traitors” there. One day they will make that attempt. In his introduction, Gilbert Doctorow presents a practical basis for believing that the Minsk 2 arrangement will succeed. Unfortunately, practicality doesn't always prevail so easily - even when the supporting particulars to that position are pretty clear-cut. Regarding the subject under discussion, there're some prominent elements that are geared in another direction. On the Kiev regime side, noticeable challenges have been made to observing Minsk 2. The rebel side has its detractors as well, who feel that their military ground gains are being thwarted, with the potential for its opponents to better regroup and attack in the future. Well outside the conflict zone, are the relatively influential pro-Kiev regime advocates, who're arguably encouraging confrontation. A continued confrontation in the Donbas region can be spun as ongoing "Russian aggression", while deflecting attention away from the woes inside Kiev regime controlled territory. The Aldous Huxley quote of "facts don't cease to exist because they're ignored", is regularly challenged with one-sided depictions and tabloid charges, that go along the lines of calling someone a "Kremlin troll", as opposed to substantively replying to a fact based analysis. New York Democratic Party Congressman, Eliot Engel, is very much involved with foreign policy matters. Arguing for American military aid to the Kiev regime, Engel dubiously claimed on CNN, that the Donbas situated rebels are mostly Russian soldiers. This put mildly questionable claim serves to downplay the conflicting internal dynamics on the land comprising the former Ukrainian SSR - which increased after Viktor Yanukovych's ouster as president - followed by a series of increased anti-Russian activity - that offended many within that territory. In The Washington Post, the Harvard based and former Bush II administration official, Paula Dobriansky, said that the Russian government is culpable of war crimes in Ukraine. Among some other things in her hypocritically faulty commentary, she had nothing to say about the civilian casualties, resulting from action taken by Kiev regime forces. On CNN and elsewhere, Michael Weiss has highlighted the image of insufficiently equipped pro-Kiev regime combatants, fighting a David versus Goliath war. For him, it appears inconvenient to note the many within Kiev regime territory, who're against taking military action in the Donbas region. The lack of a very firm international outrage over "Russian aggression", is best explained by other global issues and a realization (at least for some) that the pro-Kiev regime side isn't so ethically pristine. Noticeably improved Russia-West relations (especially Russia-US), will make it easier to increase a common consensus on Ukraine. Even with the presented obstacles, there're good enough reasons for improving Russia-West relations. Yet, this relationship isn't particularly good, thereby making it difficult to foresee when there will be an enhanced improvement. If I had to bet, the Donbas region is probably most likely going to fall in a prolonged "frozen conflict" status, with diminished to hopefully no casualties and some interaction with Kiev. I envisage this possibility to include additional points to Minsk 2. Ukraine Is a Kind of Iraq II. Won't They Ever Learn? This is Iraq all over again. I'm talking about the deception of the American people about a threat that may not even exist. Iraq had its weapons of mass destruction. Ukraine has its alleged invasion by Russia and threat to the rest of Eastern Europe. I busted this myth in my book Ukraine in the Crosshairs. What I found in my research is that those trying to convince us of Putin's dastardly role are lying. Blaming the media for all this is like blaming the messenger. With Iraq, sure, the news people played along like puppy dogs. And they're jumping through the same hoops now. It's true that there are a handful of media commentators and a few media outlets that have made Russia bashing their forte. But that's not what's been propelling this story. There needs to be more focus on exposing the brains (or lack of brains!) behind the false stories about Ukraine. In the U.S., the fabricated storyline about Russia's role has been bipartisanly embraced. Jump back to the Council on Foreign Relations report of 2006. It was titled "Russia's Wrong Direction: What the United States Can and Should Do." The task force that produced it was chaired by John Edwards (D) and Jack Kemp (R). Again, bipartisan. This is an issue on which the two parties could reasonably disagree. But we find people like John McCain and Hillary Clinton on basically the same page. But, neither they nor their comrades-in-arms can formulate a factual basis for their positions. They rely upon innuendos and allegations based on falsehoods, past and present. Perhaps the most honest of the bunch is Senator Lindsay Graham. When asked on national TV why he favored sending lethal weaponry to Ukraine, the best he could come up with was the statement, "It will make me feel better." That may have made him sound like a nit-wit, but at least he was honest about it and didn't just offer fabrications a la Clinton and McCain. But now, however, the stakes are greater than Iraq. We're not talking about just using weapons of mass destruction on a minority population, as bad as that surely is. Now the stakes border on global thermonuclear war. 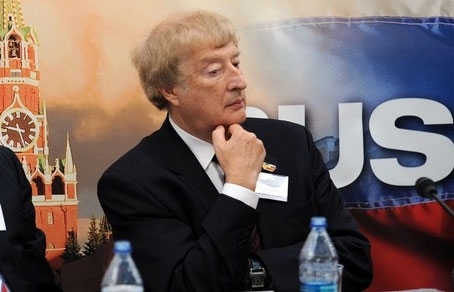 American University in Moscow president Dr. Edward Lozansky, himself a nuclear scientist, has urged that parties in the Ukrainian crisis "step back from the brink of a nuclear confrontation that would destroy the entire northern hemisphere of the earth." According to the Telegraph, former Soviet president Mikhail Gorbachev has issued his own warning that "the world is at risk of a 'nuclear war' because of the tensions between Russia and the West over Ukraine." But yet the drumbeat continues to spread fallacious stories to stimulate fear and to trick otherwise reasonable people to think the unthinkable. Make no mistake about it: sending lethal weapons to Ukraine would be like throwing gasoline on a fire. And that would be just the start of the trouble. Many have tried to counter the specious accounts about Ukraine. One leading example is Professor Stephen F. Cohen, a long-respected historian who focuses on Russia. 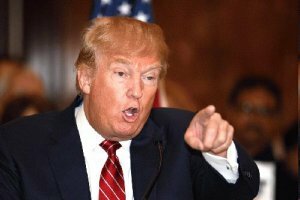 His efforts to set the record straight have netted him a hatchet-job attack in the venerable New York Times. For Cohen's standing up for the truth, the Times characterized his reputation as "divisive." Well, to that I say, hooray for divisiveness, and boo to the Times. But being vocal about the truth and attempting to correct falsehoods will ultimately not be enough. The lesson of Iraq was not enough. Now it seems that the history of deception is repeating itself. It's being enabled by the Clintons and McCains. My own Senator Chris Murphy has been suckered into the movement. Recently I wrote him and advised, "Think about what you are doing. 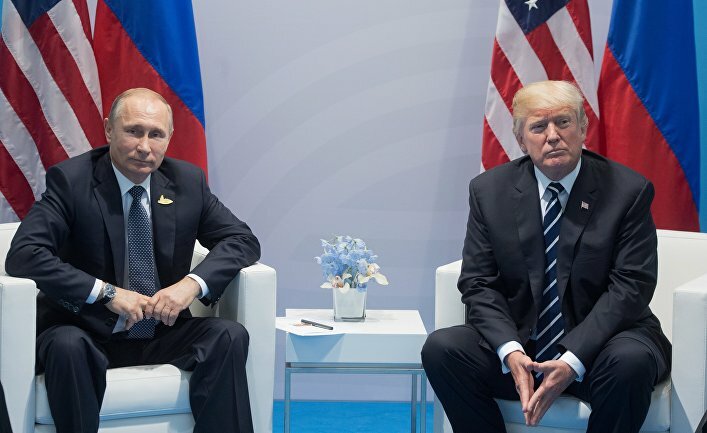 Do you really want to create a world for your children to inherit based on a dangerous and ignorant mythology, or would you rather champion a more reality-based approach to peaceful U.S.-Russia relations?" He offered no substantive response to that. In the midst of the Vietnam conflict, at a time when the U.S. and the Soviet Union were butting their nuclear heads, there was a popular song titled, "Where Have All the Flowers Gone?" It bemoans the buffoonish tendency of humanity to repeat a destructive cycle of history that seems impossible to break. The ending line says, "When will they ever learn, when will they ever learn." I suggest that Mrs. Clinton, Mr. McCain and the rest who are engaged in repeating the mistakes of history listen to that song over and over again, and think about what they are doing. Are the short term rewards they seek for themselves by misleading the country really worth it? Indeed, will they ever learn? I am not sure that the Minsk agreements will hold, simply based on the record that we have seen so far. Both Ukrainian and western models of conducting their foreign policy are based on the madman paradigm: repeating again and again an action that does not work. Escalation of hostilities, a civil war raging in the East of the country, imminent military, economic, and political collapse of Ukraine: how many more proofs does one need to recognize the failure? Of course, there are those who claim that this is not a failure but an intentional realization of some ulterior motives (the need to satisfy the military-industrial complex, the gas industry or corrupt bankers). Everything is possible of course, but on the surface of it, it sure looks that incompetents with some persecution complex to boot run American foreign policy in Europe. Their record is dismal, and there is no indication that any change is imminent. Regardless of the opinion of outside experts – university professors, retired diplomats, politicians, military and intelligence officers - there is little indication that people who are currently in charge have any understanding of the complexity of the situation. The failure to understand this complexity can be seen in a very simple fact: the constant barrage of sound bites emanating from the State Department, Pentagon, Congress, think tanks, media pundits, and various other individuals who hope to make a career for themselves through saber-rattling. 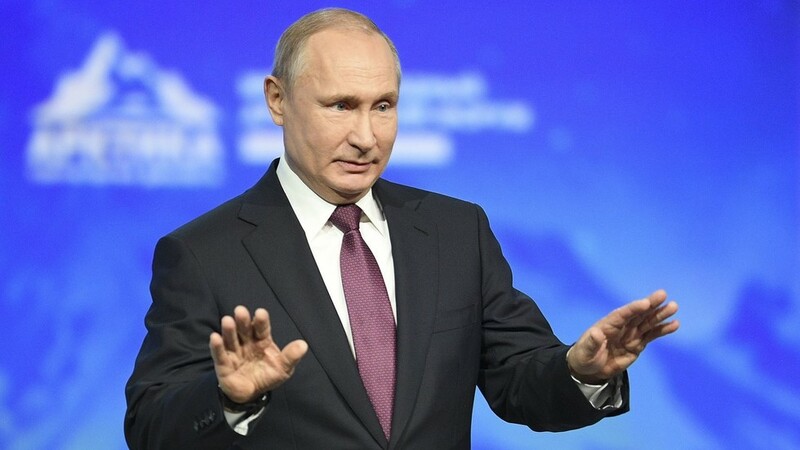 This sound bite is simple: "Carthago delenda est” – Carthage, or in our case, Putin’s Russia has to be destroyed. This sound bite has only one argument to support it: Russia is cast as a non-western form of aggressive civilization capable only of expansion unless checked by force. That doing nothing short of military escalation will embolden Putin, and he'll push further and further -- until the west will have to confront him; so it is better to do it earlier than later. Suffice it to go through any number of articles that appeared just during the last week -- in the aftermath of the Minsk II agreement -to see that picture in no uncertain terms. And these articles were not penned by some paranoid Russophobes of Dr. Strangelove mode. These are establishment figures and intellectuals, people who clearly represent the opinion of the western elites: be it Lilia Shevtsova, Anna Applebaum, James Jeffrey, or Timothy Garton Ash. Not only is the argumentation of these authors based on some old historical precedents, rather than current geopolitical reality, it is also couched in extremely urgent terms. As if the world is going to collapse once the indiscriminate shelling of Donetsk stops, or if the people inhabiting the break-away regions would be given full autonomy and time to recover from the war and think about their future in peaceful conditions instead of hiding in bomb shelters. This Russophobic fervor will reach its crescendo with any new failure of the Ukrainian regime (economic or military) that will be presented not as Kiev’s failure, but as Putin’s triumph. So the escalation will continue, while the Minsk II agreement will be cast aside. And based on the current economic and political situation in Ukraine, these failures are inevitable. It is also worth stressing here that escalation has been carried out over the heads of the American public. According to a recent Gallop Poll, Americans view Isis and terrorism as something much more threatening than the situation in Ukraine, while their opinion of Ukraine is getting more and more negative. The American public clearly has a point. They know – at least intuitively, having a great example of corrupt local politicians and failing communities in front of them,- that Ukraine’s politicians are not angels, that the country is mired in corruption and lawlessness, that it is torn by the civil war and various ethnic, cultural, economic and class tensions, that their military doesn’t want to kill its own people in the East and thus will continue to lose. The Ukraine regime and its western backers are in a deep state of denial. Instead of trying to implement the peace and begin to work on economic recovery, Ukrainian parliamentarians are busy introducing a law that would criminalize any public utterance that denies Russian involvement in the conflict. "How we live is so different from how we ought to live that he who studies what ought to be done rather than what is done will learn the way to his downfall rather than to his preservation,” observed Niccolò Machiavelli. It is clear that Ukraine government and its western backers are bound to learn all the way toward the downfall. We mock and refuse to listen to realists at our own peril. There is nothing wrong in dreaming of Ukraine as a liberal, democratic and fully integrated in Europe. But what we have in reality is country that fails to resolve its class and ethnic hatreds, where army is disintegrating while corruption and lawlessness runs amok, where a tradition of self-governance is practically nonexistent with the exception of several brief moments when the Ukrainian state could assert its legitimacy by embarking on some kind of genocidal campaign (cf. Simon Petliura or Stepan Bandera), and finally, the Ukraine that is economically and culturally integrated with Russia, the big neighbor in the East with its own their geopolitical agenda. Things in Ukraine will start improving only when all sides involved in the conflict will become aware of the true reality on the ground. The Ukrainian authorities are still convinced that they can pacify the East by escalating the conflict, even though Russia has all the means at its disposal to prevent the crushing of the east, as it has amply demonstrated. Western leaders should also become aware that what they hear from their Ukrainian partners is nothing but wishful thinking, including the conviction, that if Putin is removed things will develop different. They won’t. 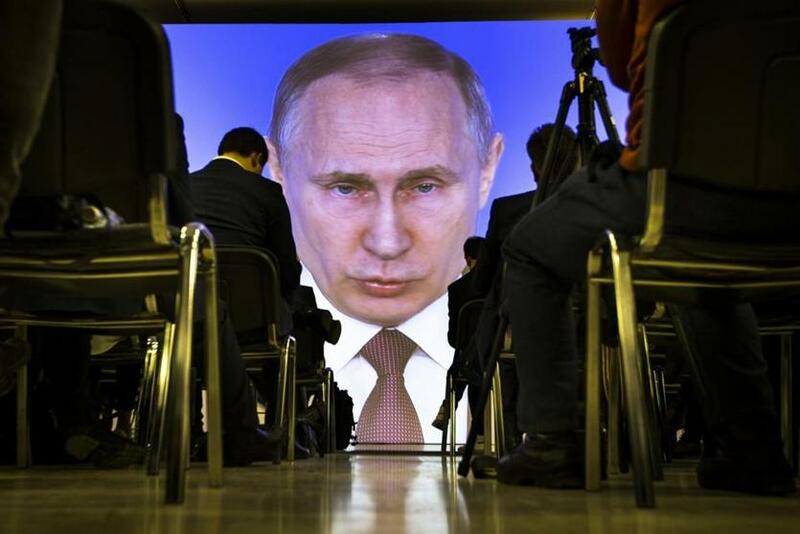 The next Russian leader will be even more assertive, since Russia 85% of Russians who support Putin’s foreign policy understand perfectly well that Western encroachment presents them – and not the West --with an existential threat, and they are willing to fight it. In Bulgakov's Master and Margarete, the devil says to Berlioz "Annushka has already spilled the oil" indicating that there is no way for his interlocutor to avoid approaching death. The Minsk-2 settlement can be successful in stopping the fighting, but it cannot save the life of one of the main characters for whom "the oil has been already spilled" - the Ukrainian statehood. What started as a minor proxy war between the American and Russian satellites - the regimes in Kyiv and in Donbass - has awakened the giant whose specter has scared the EU so deeply that Brussels has become ready to embrace "Europe's last dictator", Belarusian President Alexander Lukashenko, as its savior. This giant is the "Russian dream". A bit of digression is in order. As an economist, I was involved in drafting economic plans for Russia. Every time the plans were discussed, the main theme appeared time and again: decision makers could not agree on the common course of actions no matter how hard the experts tried to reconcile the differences. Eventually I stopped offering my help, reasoning that Western-style economic advice based on pragmatism did not work in the Russian environment anyway. As the war has heated up in Donbass since last April, the nagging feeling that it is not only a proxy fight has grown into conviction that neither Washington nor Moscow, alone or in group, can stop the process. Economic tricks failed to entice Russians with the promise of a comfortable life but the promise of wartime romantics has awakened them. The new beast was born and wanted to eat: in Donbass, the Russians have rediscovered their liking to fight. This rediscovery can be called "Russian nationalism" or "longing for the lost empire", but the phenomenon is less practical than the proposed explanations. It is more "the fight for the sake of fight", a certain realization that "this is the right thing to do". Besides, its appeal has worked on both - tentatively "pro-Russian" and "pro-American" - sides that are going eventually to converge bypassing the wishes of both Washington and Moscow. The feeling that war has started in earnest has finally arrived to Brussels. The EU has suddenly realized that the Minsk-2 settlement may be its last chance to nip in the bud a very dangerous development on its eastern borders. Unfortunately, the process has already passed the point of no return, with Kyiv being the weakest link in the chain. Even if official Kyiv obeys the settlement, the centrifugal forces of competing war interests will tear it apart and the war will resume. Why rave ye, babblers, so - ye lords of popular wonder? Why such anathemas 'gainst Russia do you thunder? What moves your idle rage? Is't Poland's fallen pride? 1. The increased activism of the anti-war movement in the US which includes the leading representatives of the Realist School of International Relations who want to reclaim their presence at the foreign policy Establishment table. 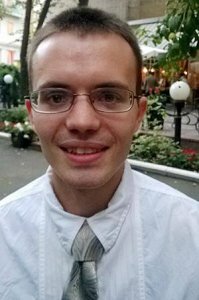 Facing the criticism from a substantial part of the American intellectual and social elite and the misgivings of the Europeans, the War Party on Capitol Hill would be allegedly presumed to get more moderate and at least give a chance to the Minsk-2 agreement and the end of bloodshed in Donbas. I wish it were true that peace is around the corner, but unfortunately I have doubts about it. Although both of the above mentioned premises for the better future of Ukraine and peace in Europe are of real importance, the argument based on them did not take into account the full picture of the existing situation. There are some other, both Ukrainian and international, factors which need to also be taken into consideration. I think that the Devatsevo Cauldron problem has been by now closed or at least alleviated and the well-armed and often fanatical Ukrainian radical nationalists would not be able to survive for long without foreign support. However, Dr. Armstrong mentioned also another more important factor, "any meddling from Washington.” I believe that he is right and that this is the most difficult issue to solve. Although the anti-war movement in the US includes many knowledgeable and respected people, they cannot control now the political power (Beltway) and mass media and I am not sure that they would be able to influence the major political decisions. It seems to me that the whole Ukrainian problem has been intentionally instigated in order to weaken the Russian Federation and to overthrow Putin’s regime. However, even before the Russian-Georgian War in 2008 the situation started to become tense again. As James Garden indicates, "the years 2008-2013 might, without exaggeration, be seen some years down the line as the West’s ‘March on Moscow.’” On April 3, 2008 the NATO summit in Bucharest welcomed Ukraine’s and Georgia’s Euro-Atlantic aspirations, and stated that, "those countries will become members of NATO.” Because of the opposition of France and Germany and the outbreak of the Russian-Georgian War in August of the same year, the implementation became impossible at that time, but anti-Russian information warfare and political campaign were continued uninterrupted including the often surprising and baseless attacks on the Olympic Games in Sochi in the fall of 2013, where no serious American political interests could have been involved. The present Ukraine Crisis and its international consequences (the Ukraine’s crisis) are their last and potentially most dangerous stages. At least in my view, in order to find their solution it is not enough to look to this or that domestic Ukrainian accords. 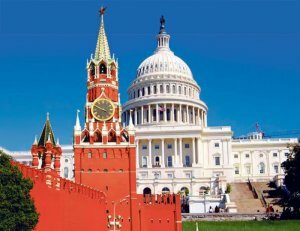 What is no less needed is to search for a new, acceptable to both sides, Moscow-Washington understanding on the future of the post-Soviet region. Without that, no Ukrainian settlement will prove to be successful or in the best case it will be short lived. During the last Minsk negotiations, and even before, it became obvious that only the Americans would be able to persuade Kiev’s government to accept a viable compromise with the eastern Ukraine rebels. The Europeans have now neither the power nor the will to do that and disregarding their own misgivings in all political decisions have to follow their big American brother. The kinetics of the Ukraine conflict will ultimately depend on the future of constitutional reform, which without American support has no chance to be implemented. What is for Moscow no less important, in spite of all diplomatic efforts, and the Minsk-2 agreement, the Russian government cannot "expect the lifting of EU sanctions for a long time, and even then it is hard to expect business as before.” In fact, the US Secretary of State, John Kerry, has recently suggested new sanctions to be imposed and according to Dmitri Trenin, "the gulf between Russian and the European Union is wide, deep and growing.” Few people can deny that Western-Russian relations have deteriorated to an, unseen for many years, dangerous level. At World Russia Forum in June 2014 Dr. Leonid Gozman suggested as an only possible way out of the crisis to call an Obama-Putin summit. Does it still seem possible to think about such an option now? Zbigniew Brzezinski, The Grand Chessboard: American primacy and its geostrategic imperatives, New York: Basic Books, 1997, p. 47. Peter Zeihan, "Russia After Ukraine,” www.stratfor.com, December 12, 2004. Peter Zeihan, "The Russian Problem,” www.stratfor.com, October 6, 2007. 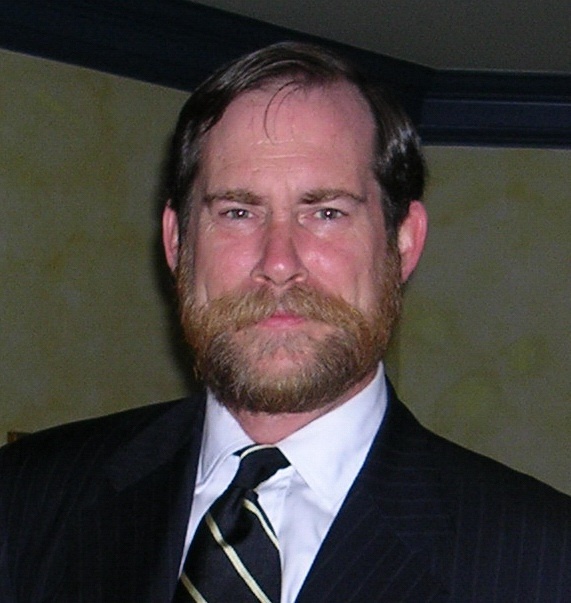 Stephan F. Cohen, "America’s New Cold War with Russia, Obama Congress and the media continue their dangerous one-dimensional approach,” The Nation, February 2013. 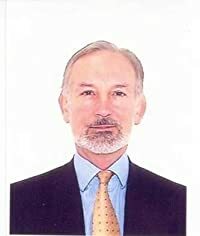 James Garden, "Who’s really playing zero sum game in Ukraine?,” www.russia-direct.org, July 1, 2014. Bucharest Summit Declaration, April 3, 2008. Dmitri Trenin, "Ukraine points towards the start of a tumultuous new era in world politics,” The Guardian, February 15, 2015. Unfortunately for the majority of Ukrainians, especially those dragooned into Kiev’s blundering army, Minsk-2 cannot be regarded as a durable peace settlement or even a credible roadmap to that end. The main reason is that the sponsor of the war in eastern Ukraine – namely, the US’s "deep state” – has no interest whatsoever in ending the conflict. On the contrary: it didn’t instigate all that mayhem and get 50,000 people massacred (an estimate courtesy of German intelligence) to walk away now just because Putin managed to persuade his cowed European opposite numbers to swallow their pride and meet him in Minsk for a putative peace pow-wow. A realistic assessment of Minsk-2 must begin with a correct diagnosis of the causes of the conflict. Here we cannot mince our words or pay any heed to misguided political correctness. This conflict is not about the wellbeing of Ukraine and its inclusion in the European family, as the official line has it – far from it. Had that been the objective of the EU and Washington, as long ago as 2012 they would have entered into trilateral negotiations to harmonize the EU/NATO’s plans for Ukraine with those of Moscow and, indeed, of former Ukrainian President Yanukovich. As Putin argued back in October 2011 in his proposal for the Eurasian Economic Union (EAEU), the optimal scenario for Ukraine was membership of the EAEU accompanied by gradual deepening of that country’s, as well as the EAEU’s, ties with the EU. Without doubt, Putin’s vision of a common economic space from Lisbon to Vladivostok would have been a win-win situation for all countries concerned, including the US and, of course, China. It appears that, tragically, such visions are a red rag for the US’s neocon-driven deep state. Despite that scenario being in the best interests of the vast majority of Americans, Washington’s decision-makers have elected to throw a giant spanner into the works. Far from becoming a privileged interface between the EAEU and the EU, Ukraine has been fashioned into a bridgehead for a military attack on the Russian Federation. Instead of being regenerated, Ukraine’s decimated economy has been forced to its knees. 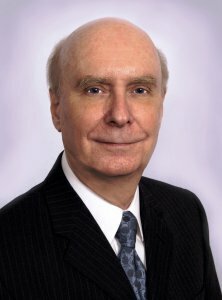 Instead of offering a generous "Marshall Plan”, as misguided Maidan-ites had expected, the Western puppeteers engineered a bitter civil war. A gaping chasm has opened between Russia – an integral part of Europe both geographically and culturally – and the EU, while both the Russian and EU economies have been suffering the consequences of Washington-imposed sanctions. Those who consider this diagnosis flawed might like to consider the following. 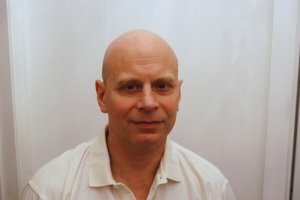 A not insignificant number of (mainly US) experts in relevant fields have come to suspect that the events of 9/11 were a "false flag conspiracy”. At a minimum, it is reasonable to conclude that the authorities are simply ignoring numerous troubling inconsistencies in the official account of what happened on 9/11 that have been pointed out by concerned citizens with considerable relevant expertise. 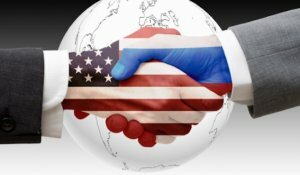 Having closely studied West-Russia relations over the past couple of decades, the author is of the opinion that the Western, corporation-controlled media have hoisted another "false flag” – through the systematic demonization of what they dub "resurgent”, "neo-imperialist” Russia and President Putin. The drumbeat reached fever pitch just before the Kiev coup d’état – during the Sochi Winter Olympics. Might it not be the case that if 9/11 was orchestrated in order to conjure up the spectre of the "Islamist menace” (as suspected by the above-mentioned experts), the portrayal of Putin as the new Hitler may well be serving to justify a protracted campaign to contain and roll back so-called Russian neo-imperialism? And this is where hapless Ukraine enters the scene. Just as assorted "freedom fighters” in the Middle East have struck alliances with the West, so Bandera-inspired chauvinists have turned to Washington (and revanchist former Soviet bloc countries) to win backing for their campaign against a "resurgent Russia”. Indeed, Washington’s strategy bears the hallmarks of genius, not least because the idea is so simple and follows logically from actual circumstances: why not advance one’s geopolitical interests on the cheap, simply by tapping into the virtually inexhaustible pool of enthusiastic foot-soldiers. The tragedy, of course, is that this is a Pact with the Devil. And all of us are affected by that Pact and its grotesque cynicism: today’s globe is interconnected and even conflicts in remote zones eventually impact on us all. If the above interpretation of developments in Ukraine is correct, then Minsk-2 can be seen as no more than a diversionary manoeuvre by Moscow. As in the case of Stalin’s pact with Hitler in 1939, it has bought Russia more time for war preparations. After having been held at bay by Novorossiya’s miners and farmers turned soldiers, Washington, its European allies and the Kiev regime need "time out” to lick their wounds and rethink strategy. But there can be no doubt that they will be back with a vengeance. And if Russia again stands firm, we may face the threat of a nuclear stand-off à la Cuba 1962, not least because Washington will need to test Moscow’s resolve. This dire scenario can be avoided. However, the author is not holding his breath – for the following reasons. First, sustainable peace would mean that Washington’s deep state ditches its alliance with the forces of Global Chaos and switches sides: that is, it opts for peace and stability. But it is probably far too late already for it to voluntarily reform in this manner: the addiction to power generated by that alliance is such that it can no longer be overcome. Second, the deep state, along with its media and think tanks, would have to acknowledge that the false flag about Putin is just that – a systematically constructed Big Lie. It is hard to imagine that the establishment would be capable of such a purifying about-turn. Unfortunately, the only realistic conclusion is that the die have already been cast.